"Prewire" is the term used for running wiring throughout a home while it is under construction. The ideal time to prewire is when the walls are open before insulation and sheetrock have been installed, allowing our skilled technicians the opportunity to quickly get wiring exactly where it needs to go. 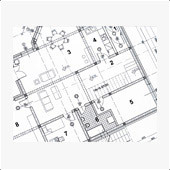 Like any stage of your construction process, prewiring requires careful planning. Modern systems use a variety of different cabling, and having the correct wiring installed is crucial to a successful audio/video system and Custom Theater and Audio can expertly handle all of your prewire needs. 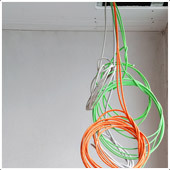 While many devices can communicate wirelessly (either via Wi-Fi, Bluetooth, or some other radio frequency), there are still many devices that require wiring to operate their best, Also, a hard-wired infrastructure is the best way to distribute fast, strong, reliable Wi-Fi signals around your new home, eliminating dead spots or dropouts. Whether it is speaker cabling for distributed audio systems, HDMI 4K video, or high-speed Cat6 cabling for your Wi-Fi and data needs, we will ensure your home is ready for today…and the future! Music sets the mood inside your home, providing the perfect backdrop whether you’re working, entertaining, or relaxing. Being able to enjoy your favorite songs in any room is a great way to improve your lifestyle, and many of our systems allow you to enjoy different tunes in different areas; U2 in the office, Michael Buble in the dining room, and Jimmy Buffett out by the pool! Our wide array of architectural, in-wall and in-ceiling speakers not only blend in with any home’s décor, with micro-thin bezels that practically disappear when installed, they come in a range of styles to meet individual performance needs. Beyond your personal music library or music stored on your phone, you can enjoy an unlimited variety of tunes streamed from the Internet: Pandora, Spotify, Sirius/XM, Tidal. Deezer, iHeartRadio, and more, all available right at your fingertips! 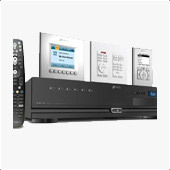 We carry a wide range of systems including Sonos which can be the perfect solution for existing homes. 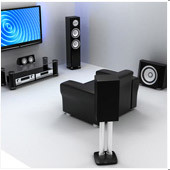 Nothing makes watching movies at home more exciting than a well-designed home theater/surround sound system! With a professionally installed system, your living/media room can be transformed into something magical, with eye-popping 4K images that can truly bring the full theater experience into your home! Most home theaters start with a cinema-sized, Ultra High-Definition image, and Custom Theater and Audio offers front projection systems capable of producing stunning, truly larger-than-life sized images. Or we can install a large LED flat-panel TV to serve as the focal point of your theater system. These large displays also make your home the place to watch the big game! Audio is the other half of the home theater experience, with discreetly placed speakers sonically transporting you to another world. 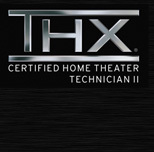 While home theater systems typically consist of five speakers and a subwoofer (referred to as 5.1), newer technologies such as Dolby Atmos and DTS:X add additional channels – up to 11 or more speakers – for a truly over-the-top cinematic experience! Whatever your budget, room size, or design needs, Custom Theater and Audio offers a variety of speaker systems and styles – bookshelf, on-wall, in-wall, in-ceiling, floorstanding – that are sure to blow you and your guests away! Custom Theater and Audio is ready to handle any audio/video, automation, or surveillance needs for your commercial establishment as well. Our company has designed and installed systems in many restaurants, golf shops, dental offices, hotels, and even hospitals. 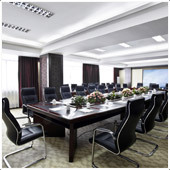 We have also installed training room/conference center systems for government applications. Regardless of your commercial audio/video needs, Custom Theater and Audio is poised to handle them! Existing homes offer unique challenges for adding a new audio/video or automation system. Fortunately, Custom Theater and Audio’s professional team of installers can almost always find a way to retrofit new technology into your existing home! Whether through the attic or crawlspace, fishing wiring under carpeting, behind baseboards and crown molding, or under eaves or vinyl siding, our installers have all of the tricks and tools needed to pull off what many of our customers have described as "magic." One prime example is a Plantation House built in 1797. Our team disassembled the original cabinetry, extended the shelving, reinstalled the original woodwork, and installed a video projector and 100-inch film screen to bring this storied home into the 21st Century! Additionally, we stay on top of developing and new technologies that allow sending signals throughout a home often without running any new wiring at all. By telling us your ultimate goals, we will work with you and your designer to create a solution to install the system of your dreams in any home, new or old!